Katherine Jeanette Mize went home to be with Jesus on Sunday, October 7, 2018. She passed peacefully at home, surrounded by her family. 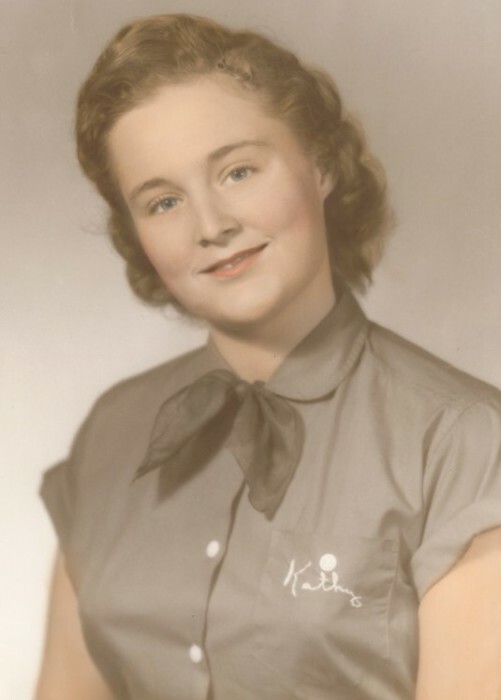 Katherine was born in Roland, OK on April 29, 1940 to Virgil and Lila Presson. She migrated to Bakersfield during her teens, attending East Bakersfield High School and later earning her diploma from Bakersfield Adult School. While attending church, she me met her husband, Edwin. They were married on November 19, 1957 and moved to Taft around 1964 where they raised their family. Katherine was a homemaker for many years and then pursued her life’s passion of art, music, and photography. She graduated from California State College, Bakersfield in 1985 with a Bachelor of Arts degree in Fine Arts. She frequently sang at the First Presbyterian Church in Taft and tickled the ivories on her antique piano. For several years she maintained an art studio in Taft where she painted, did crafts, showed her art and taught others her passion. There was never a trip to “grams” house that didn’t end with a bounty of arts and crafts projects for her grandkids. She loved teaching and sharing her talent with her grandkids and the community. She will be missed dearly! Katherine was preceded in death by her parents and younger brother George Presson. She is survived by her husband of almost 61 years, Edwin Mize of Taft; sons, Michael Mize of Fresno; Patrick Mize of Bakersfield; and Darrel Mize and his wife Fana of Taft; her brother Jerry Presson, his wife Beverly, and their daughter Sandra of Bakersfield; Grandchildren Destiny Mize and Lila Mize of Taft; Madison Mandella and her husband Justin of Norfolk, VA; Morgan Stewart and her husband Grayson of Fresno, CA and Maguire Mize, of Bakersfield, CA; along with numerous nieces, nephews and great grandchildren. Services are scheduled for 10 a.m., Monday, October 15, 2018 at Erickson and Brown Funeral Home in Taft, with a short ceremony following at the West Side Cemetery in Taft.